1 A.L.PRASAD DEGREE COLLEGE . 5 S M B S COLLEGE. 6 Rajeev Gandhi Rural College of Education (B.Ed. ), Koppal. 6 JSS Institute of Education. 7 JNANABHARATHI COLLEGE OF EDUCATION. 9 KSPL Degree College Hospet. 10 M.K.College of Arts, Kottur. 11 Smt. B E H M I M College Siruguppa. 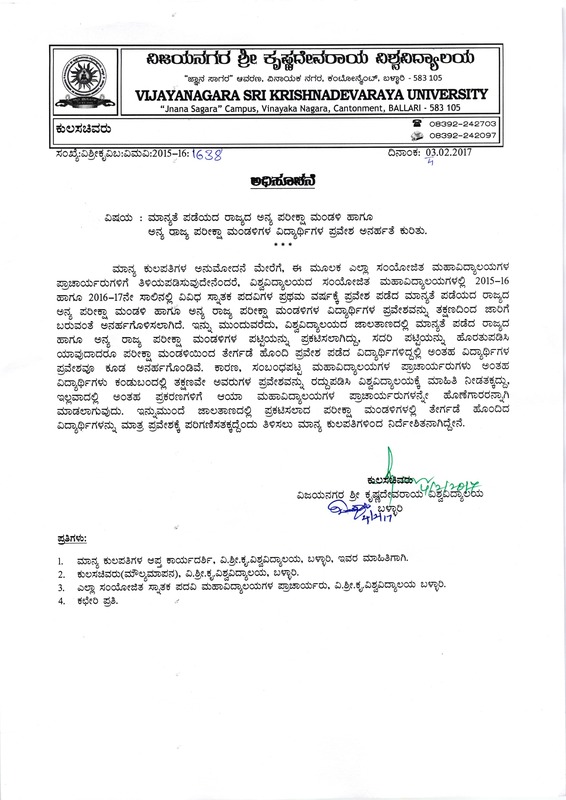 13 SRI BASAVESHWARA DEGREE COLLEGE SIRGUPPA. 15 SHREE MEDHA DEGREE COLLEGE. 18 SMBS COLLEGE OF EDUCATION. 21 Wardlaw CSI College Bellary.